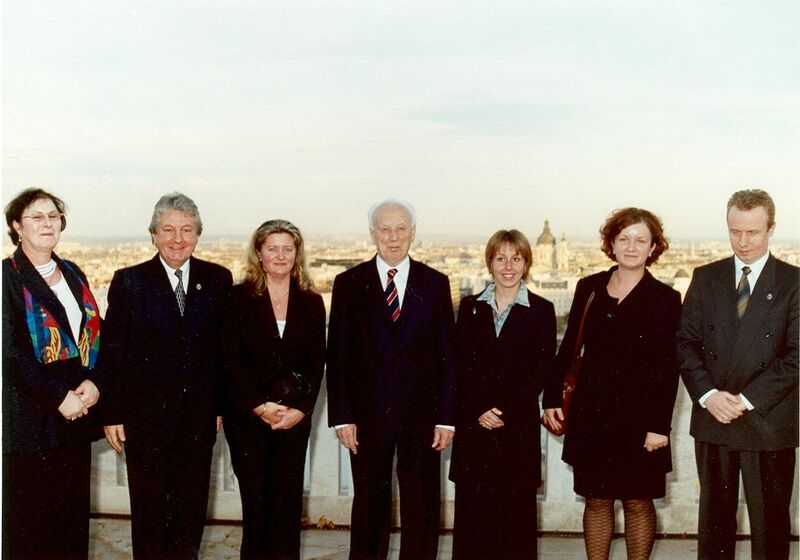 The first professional team in Hungary for organising international scientific conferences was set up in 1970 at the Computer and Automation Research Institute, Hungarian Academy of Sciences (MTA SZTAKI). The Conference Department of MTA SZTAKI and the company SCOPE Meetings Ltd. are the present professional successors organising high quality meetings when the old traditions are combined with the latest technology and most importantly with a creative staff. About 300 meetings have been organised so far, including the following large and significant events of the last years. 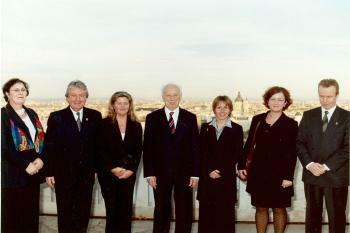 Ferenc Madl, President of the Republic of Hungary, congratulates the team for the organization of the World Science Forum - Budapest. 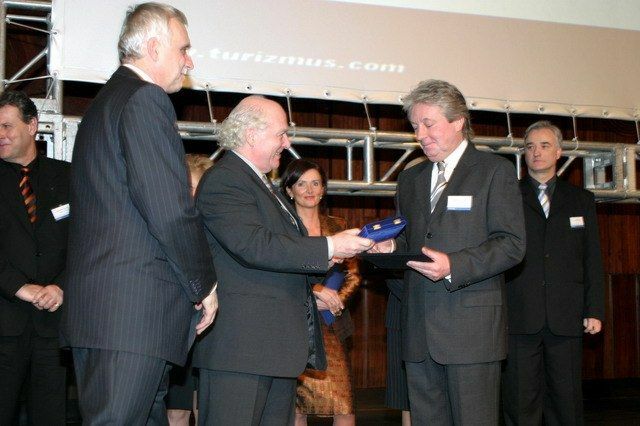 Gusztav Hencsey, Executive Director of SCOPE Meetings Ltd. is awarded the "Golden Badge Prize" as Meeting Organizer of the Year 2004 in Hungary.